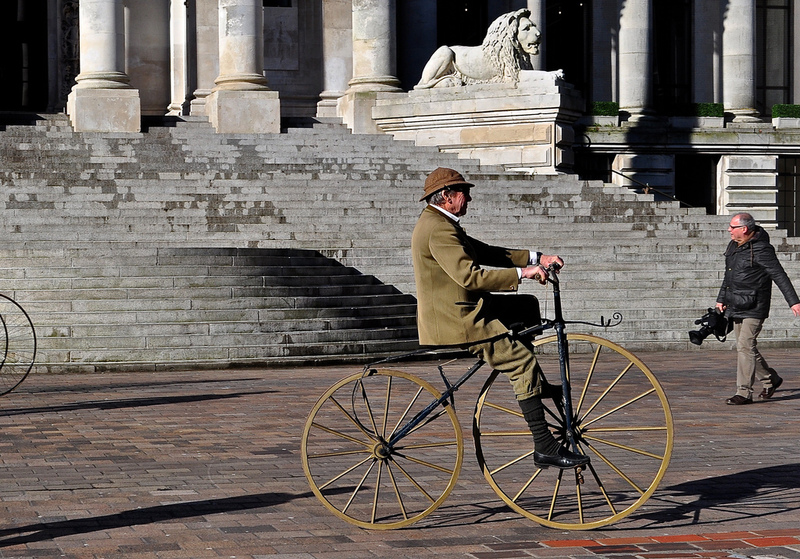 My introduction to The Pickwick Bicycle Club came as a result of the unveiling of the UK’s first statue to honour the novelist Charles Dickens, in the city of his birth, Portsmouth. 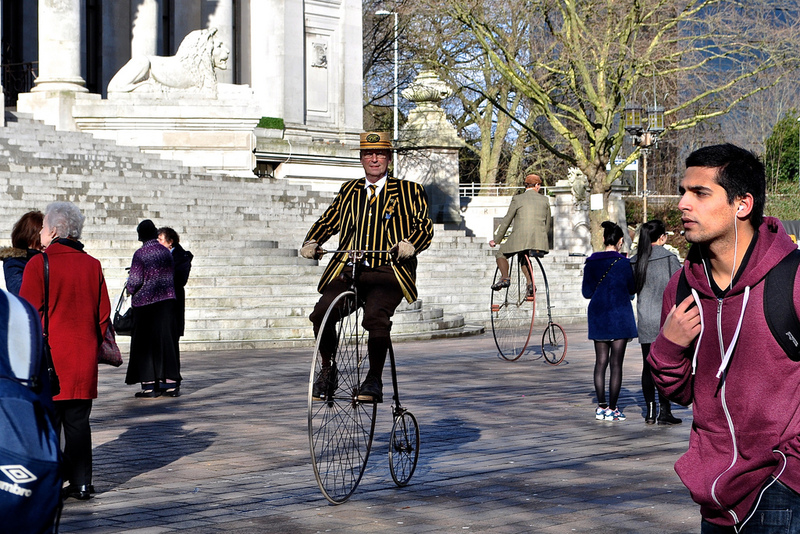 Cycling in from stage right, weaving their way through bollards, chairs and pedestrians were a bevy of five or six cyclists – some on penny farthings, others on stranger contraptions, all in period attire. 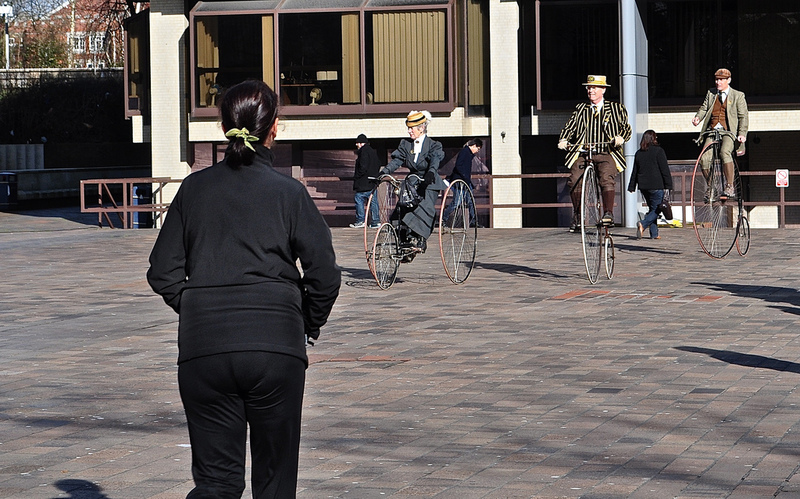 Although I was personally mesmerised by the cyclists, I was even more amused to see others in headphones completely oblivious – how much of their life do they lose to internal reflection rather than seeing what’s in front of their noses? The PBC seemed to be in complete control of their bikes and I answered a question I had long wanted to know. 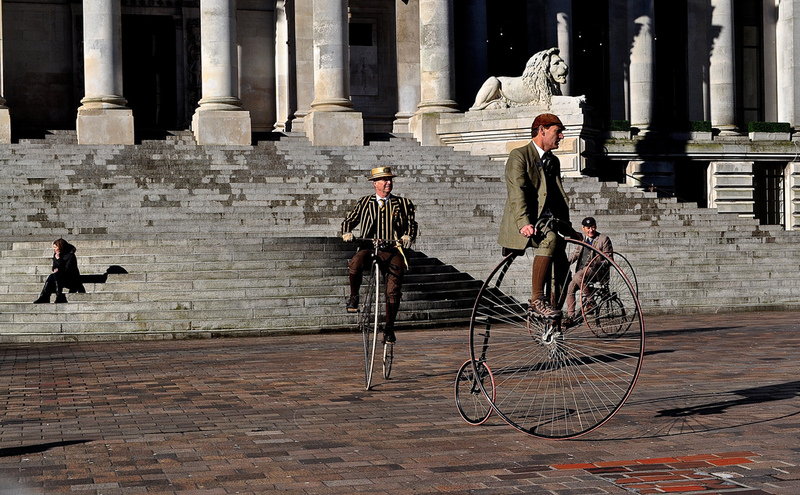 You mount a penny farthing by stepping onto a small steel step on the back wheel, balancing well and swinging your leg over the seat to propel yourself onto the bike. All there was to it. 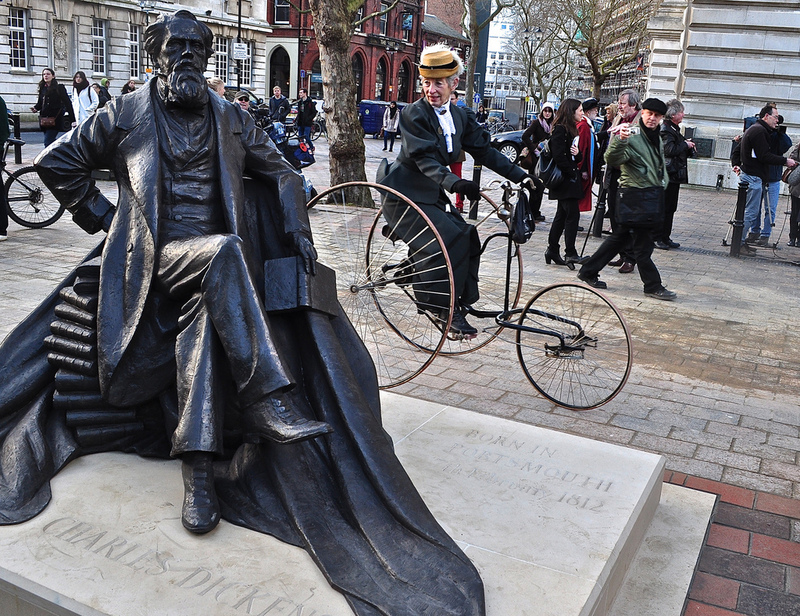 They even stopped to take a look at Martin Jennings’ statue to Charles Dickens – I think she approved. 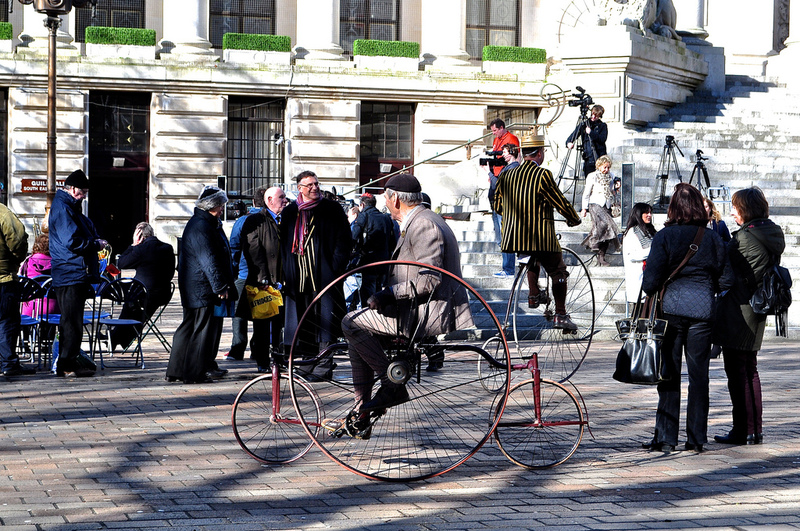 Who are The Pickwick Bicycle Club I hear you ask? Well, all I can tell is that they are the UK’s oldest cycling club and they have an apparently closed membership (a member has to drop off the mortal coil before a new person can be elected). Formed on the 22nd June 1870 when six cycling enthusiasts met at the Downs Hotel, Hackney Downs, they chose the name in honour of the author who had recently died. 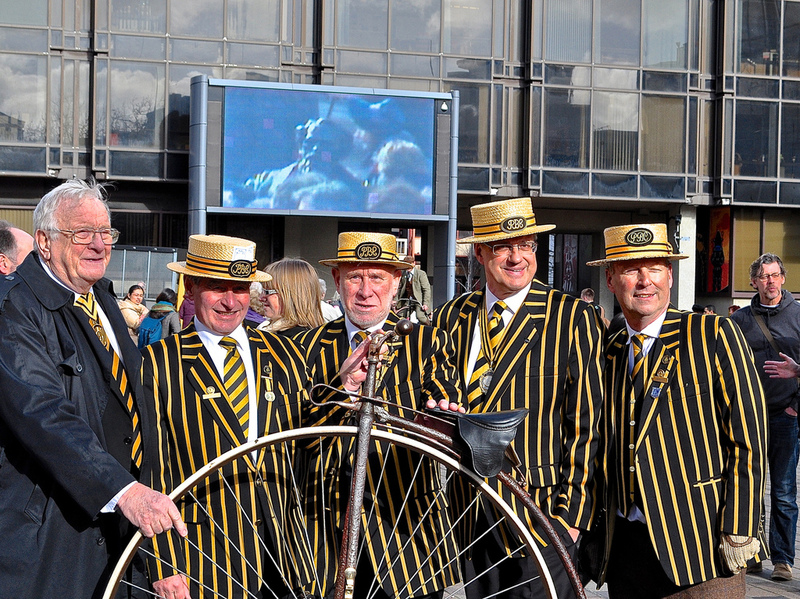 As well as being the oldest cycling club now in the world, it is also the oldest Dickensian Association, committed to promoting his works and to fathering fellowship and conviviality. 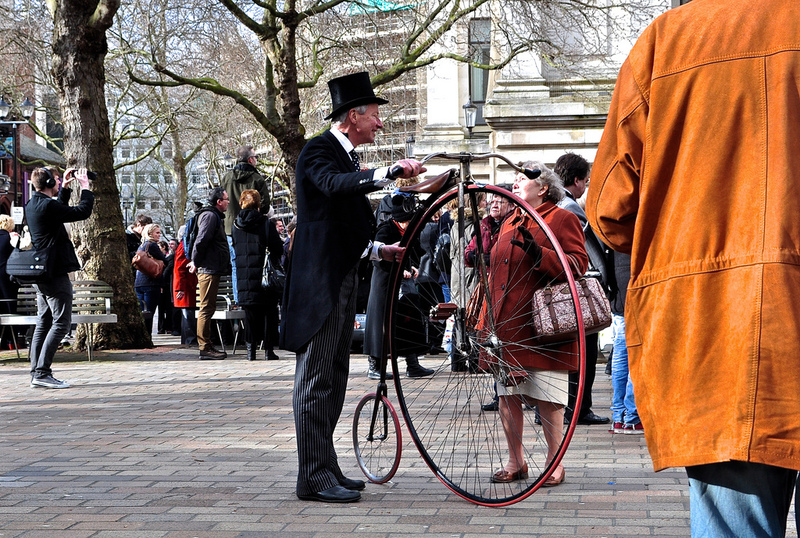 They brought a touch of magic to the occasion of the statue unveiling – long may the intriguing society of The Pickwick Bicycle Club reign.